With a reputation for being the best water park in Europe and with 16,000 acres the Slide and Splash water park is definitely not one to be missed. 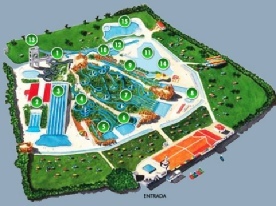 Slide and Splash waterpark is located in Lagoa and is well signed posted making it very easy to find. 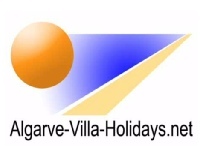 Alternatively there is also a free bus service from many of the resorts along the Algarve such as Albufeira, Guia and Alvor. 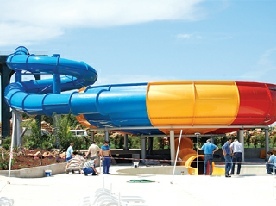 Pistas Brandas is one of the most popular slides with 5 lines available for families to race each other to the bottom. 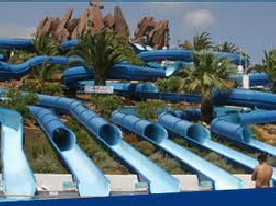 There is also a variety of single water slides that give every one the chance of choosing a fast or a slow slide to the bottom. There are plenty of grassy picnic areas where you can have lunch or just relax in the sun and read a book. The Black Hole ride is a real thrill with 2 man inflatable rings used - so mums and dads can enjoy the fun with their children. The Kamikaze slide has two parallel slides that let you race down from the top. There are also many areas and slides for smaller children and toddlers - so everyone in the family can have fun. The Tornado is a brand new water ride that opened in 2012 and uses single rubber rings as you spin down the ride to the pool at the bottom. 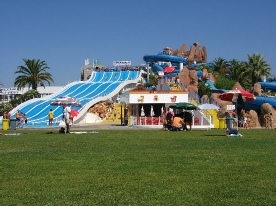 Slide and Splash is a great water park in the Algarve! It has a selection of slides for different age groups including height restrictions. There is also a restaurant with refreshing drinks and tasty food! Next to the restaurant is an ice-cream shop where you can choose from a wonderful selection of ice-creams. The toilets and changing rooms are just next-door! You can even get your photograph with a parrot for a wonderful Slide and Splash Algarve memory! There are also toilets near the slides on the left! 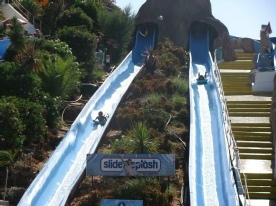 The slides are so much fun at Slide and Splash Algarve! 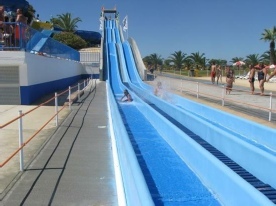 There is a variety from racing slides, two-person slides and little slides. Slides such as the ‘Black Hole’ and ‘Blue Hole’ include tubes where you sit in the tube and slide down the slide! All of the slides have lifeguards at the top and some at the bottom but all the slides are perfectly safe and a great outing for families and friends! The name says it all really, you slide and you splash! My favourite slide is the Blue Hole because you go really fast and then all the water goes in your eyes when you are near the end! 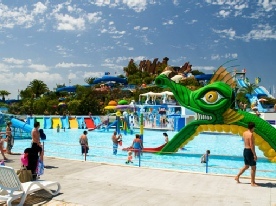 I have to admit that this is my most favourite water park in the Algarve and if I was to rate out of ten, I would rate ten because I can honestly say that there is nothing wrong with it. It is really entertaining for children and adults. Goggles are not allowed on any of the slides. 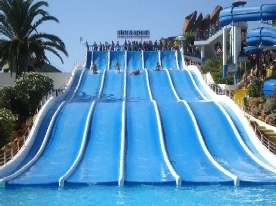 I hope you enjoy Slide and Splash Algarve as much as everybody else does!